Kachchh is an ancient land possess of great antiquity, which takes its name from its geographical characteristics and topographical features resembling a tortoise. Kachchh is always considered as a distinct entity due to several factors that ranges across geological, social and cultural domain. The district lies in the extreme west of India between 22°44′ 8″ to 24°41’30” North latitude and 68°7’23” and 71°46’45” East longitude. It is bounded on the South by the Gulf of Kachchh and on the west by the Indian ocean, in the North east and South east by the districts of Banaskantha and Mehsana. The total area of the district is 45,612 sq.km. making it the biggest district in Gujarat. For administrative purpose the district is divided into ten talukas: Bhuj, Mandavi, Mundra, Abdasa, Lakhpat, Nakhatrana, Rapar, Bhachau, Anjar and Gandhidham. 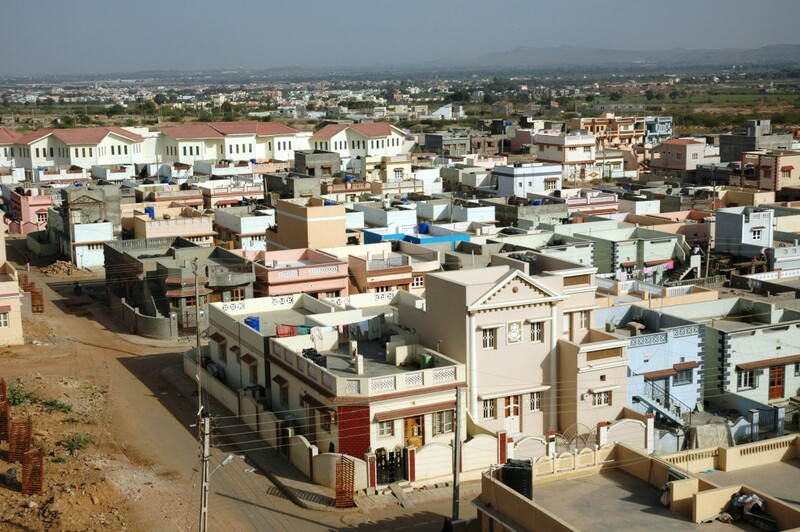 As per 2011 census figures, Kachchh has reached 20.90 lacs population with growth rate of 32% during 2001-2011. A typical combination of climatic factors that is arid conditions, longest coast with several creeks and Rann on the three sides resulted in fragile environmental conditions in the region. The region is also prone to various disasters like earthquakes, cyclones and drought. Kachchh has distinct socio-cultural life style due to its remoteness and harsh conditions and hence it can be referred as cultural island. Nomadic herding, Animal husbandry and rain fed agriculture have traditionally been the important economic activities for the Kachchh.